Pros: 3 years old and runs great. Cons: Gets a little toasty on OC. 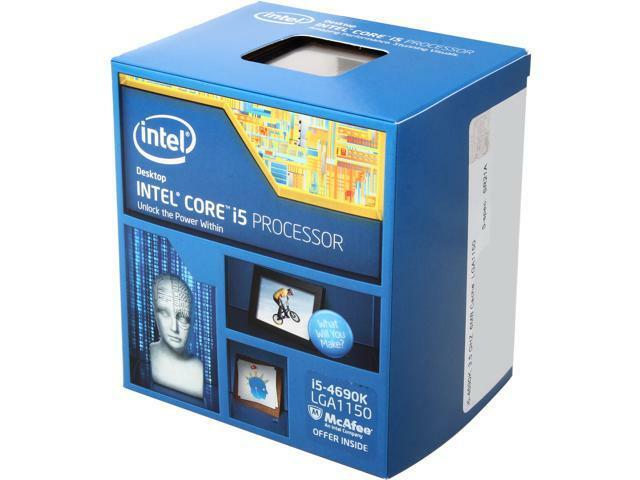 Pros: Its a great cpu for gaming, i dont use video editing or anything of the that sort. Cons: Produces a good amount of heat even on stock settings, you will need a good fan or closed water loop. Other Thoughts: I bought this 2 years ago its still working well, when i tryed overclocking it with a closed water loop it crashed at a certain frequency. But now all of a sudden i can clock it to 4.6 ghz with vcore at 1.25, But the heat gets to 80c under stress tests. I'm running it at 3.7 ghz with a vcore of. 95 volts and always under 45c. Other Thoughts: Been using for 2-3 years now and still works well. You can run programs like photoshop cs6 and premiere pro fine. It struggles with aftereffects. Perfect for gaming. Pros: It is rock solid and over clocks well. Still a solid CPU for gaming. Other Thoughts: This one I run at 3.9gzh on stock cooling and it has had no issues. I would recommend this processor to anyone. Other Thoughts: Highly recommend ... Compare it to the AMD octa core and watch it dominate. Cons: Wow its expensive now! Why would you buy one now though? OC to 4.5ghz 1.295v. for 3 years! Cons: overall no problems but there is better options than this chip like new coffe lake i5's that get 6 cores and are very power efficent. Other Thoughts: I didnt buy this off Newegg but I thought I would right this for those who want a great entry chip.